It's festival season again in New York, and we bring you some participating shows! Ken Davenport, producer extraordinaire, stops by to share a lot of his views, and kick off his new, regular segment, "The Producer's Perspective". We also have interviews and music from the musical "OPA!" and The Midtown Children's Musical Theatre Festival. We also speak with the creators of the fringe show, "Anais Nin Goes to Hell" from MTWorks. It's hot outside, so cool down with some great interviews and music! Ken Davenport – The Producer’s Perspective. Ken Davenport, producer and conceiver of such shows as “Altar Boyz”, “Awesome 80’s Prom” and “My First Time”, as well as the upcoming Broadway Musical, “13” by composer Jason Robert Brown stops by the studio to discuss many of the quirks of producing in New York. The in-depth interview is an introduction to our listeners, as Ken will be providing a regular “audio column”of his popular blog, The Producer’s Perspective , regularly in Broadway Bullet! Be sure to check out and subscribe to his blog for frequent updates from a great producing talent! Jamie McGonnigal and Joe’s Pub present Broadway Loves the 80’s Vol. 3, a concert featuring your favorite Broadway stars singing their favorite hits of the awesomest decade ever! Directed by McGonnigal and Xanadu’s Marty Thomas, with Music Direction by Ben Cohn, “Broadway Loves the 80’s Vol. 3” will take place on Sunday, August 10 at 9:30PM at Joe’s Pub, 425 Lafayette Street, NY. The totally rad host of the past two concerts, Mo Rocca (Spelling Bee, VH1’s I Love the 80s) will return for this 3rd incarnation. Manhattan Theatre Club (Lynne Meadow, Artistic Director; Barry Grove, Executive Producer) is pleased to announce that three-time Tony Award nominee and two-time Drama Desk Award winner Brian Murray will join the cast of its upcoming world premiere Broadway production of Nick Whitby’s TO BE OR NOT TO BE, based on the 1942 motion picture To Be Or Not To Be. The production, to be directed by three-time Tony Awardâ nominee Casey Nicholaw (The Drowsy Chaperone, Monty Python’s Spamalot), will mark Whitby’s New York playwrighting debut. The producers of Spring Awakening announce “Weeds” Star Hunter Parrish will join Broadway’s groundbreaking musical hit in the central role of Melchior, the brilliant young radical, on August 18. Featured in Vanity Fair’s cover feature “Hollywood’s New Wave-The Hottest Kids in Hollywood spread (August issue), on newsstands July 9, Hunter can currently be seen as Silas, the rabble-rousing older son of Mary-Louise Parker on the highly acclaimed Showtime series WEEDS. The Mark Taper Forum will reopen Sept. 13, and hold a gala celebration hosted by Dame Edna. Dame Edna will cover red-carpet arrivals , which will be followed by cocktails, dinner, a preview performance of John Guare‘s “The House of Blue Leaves” in the Taper. The Taper has been closed since August while a $30 million interior renovation has taken place. Changes have been made to the theater’s lighting, electrical, air handling and sound systems among them are the replacing of seats and carpeting, and the lobby has doubled in size and the restrooms relocated. MTWorks is presenting another show, this time in the New York Fringe Festival. Focusing on radical feminists throughout history all put together, ANAIS NIN GOES TO HELL is the latest in a series of adventurous offering from the relatively new company, MTWorks. We talk with David Stallings (Writer/Artistic Director) and Christina Alicea (Director) about the show, their history working together, and MTWorks. We have just been informed that Anaïs Nin Goes to Hell was a Semi-Finalist of the 2008 Princess Grace Awards, bestowed by the Princess Grace Foundation of Monaco. That is the second recognition this play has received, so don’t miss out on its first production at FringeNYC! Marci Elyn Schein (Director/Producer) and June Rachelson-Ospa (Writer/Producer) stop by the studio to discuss the three shows inaugurating the first season of the Midtown Children’s Musical Theatre Festival, playing at The Producer’s Club from July 9th through August 17th. Singers Ryan Knowles, Vanessa Bellardini and Louise Stewart also perform live, in-studio, two of the songs from “S.W.A.K.” (“Waiting For You” and “What’s the Story”). Spike Lee — the director of such memorable films as “Inside Man,” the upcoming “Miracle at St. Anna,” (release 9/26/08), “Do The Right Thing,” “Malcolm X,” and “She’s Gotta Have It,” — will direct a film of the award-winning Broadway musical PASSING STRANGE, it has been announced by Steve Klein, who is a co-producer of PASSING STRANGE on Broadway and will produce the film with Mr. Lee. 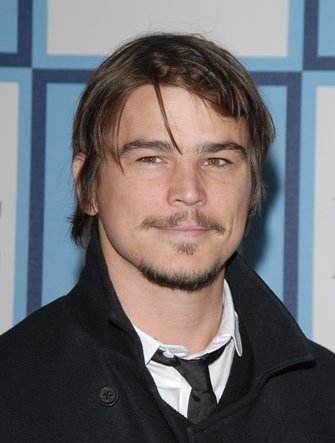 What’s On Stage is reporting that big screen star Josh Hartnett will be making his stage debut in the UK in a new stage adaptation of Rain Man. The play will run from September 8th to December 20th at the Apollo Theatre. The film, which was released in 1988, starred Tom Cruise and Dustin Hoffman and won six Academy Awards including Best Picture, Best Original Screenplay, Best Director and Best Actor (Hoffman). It tells the story of a young man (Cruise) who learns after his father dies that he has left all of his estate to an estranged brother he knew nothing about because he was placed in a home for autistic children right after he was born. Hartnett will be playing the role of Charlie Babbitt (played by Cruise in the film) to British actor Adam Godley’s Raymond. The 2008 Broadway Cast Recording of GYPSY will be released on Tuesday August 26th, 2008. The new Broadway Cast Recording of Gypsy boasts the talents of Tony® and Olivier® Award-winning star Patti LuPone, four-time Tony® Award-winner Boyd Gaines and Tony® Award-winner Laura Benanti. All three won 2008 Tony® Award for their performances in the celebrated revival. The CD is expected to be available for pre-order in July from Amazon.com and other online retailers. It’s currently available for pre-order from Dewynters.